rhinos | All Things ICT! We feel very privileged to have enjoyed a visit from a rhinoceros over the past few weeks. Lesedi is one of 5 rhinos from Cape Town in South Africa who are travelling the world to inform children everywhere about the plight of the world’s rhinos. We learned that there are 5 types of rhino and they are all in danger of extinction.They are hunted and killed for their horns. Rhino horn is made of keratin just like our fingernails but many people believe it can be used to cure all sorts of medical problems. This is not true. So rhinos are killed for nothing. We also took Lesedi with us to Canberra where she met the Queen of England! 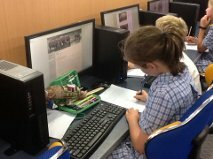 You can read the original post on the Year 6RC blog here: http://goo.gl/QqiQ0w . Thank you to the Pru Thomas and the Year 6 students at Roseville College for taking such good care of Lesedi and for spreading the awareness of rhino poaching! Back last towards the end of last year I saw a message on twitter asking for classes to collaborate in a project to increase the awareness of the plight of the Rhinoceros. 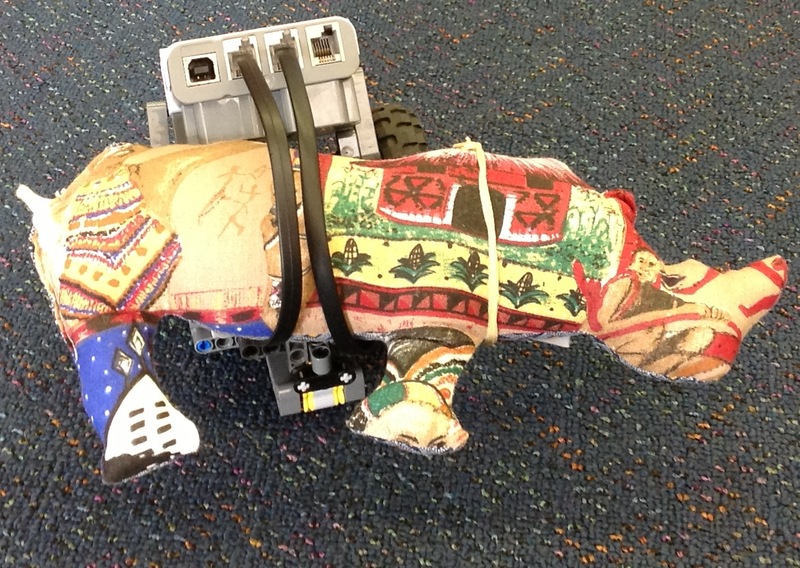 This South African teacher, Karen S or @ICT_Integrator, and her class had 5 Rhinos made from traditional African fabric, gave them names and sent them out into the world to different classes. Now, almost 6 months later, Lesedi (Light in Setswana) arrived in the mail. For the past week we have learned about Rhinos; facts and figures about their life and the sad facts and figures about their rapid move towards extinction. So with these issues in our mind we decided to try and do something to make a difference. Many ideas were raised about ways to raise money, but it was clear that money was not the issue – the issue was that people did not know that there was a problem. Then a small child said “Why don’t we make a google form and get people to sign their name and we can put it on our blog for people to access. Another added “…and we can tweet it out on the class Twitter and your Twitter Mr Dyer”. So through social media we made a petition and shared it (as I type this blog post we have over 300 names on the petition). The class made a poster and shared it at assembly and we also used the school newsletter emailing list to get the link to the form out to all parents. Instantly we discovered that the local newspapers read our newsletters and we have had one reporter in already taking photos and recording the journey and another is coming in tomorrow morning. Through participating in this project I have truly seen the power of modern technology in knocking down classroom walls and making global connections. Karen’s aim of the project was to raise awareness of the issues and I believe that in our small way, this small rural school in the middle of nowhere has made a difference. Technology removes the barriers of distance, knocks down the borders between countries and allows for global collaboration of epic proportions. This may be just one project, but there are many more out there and I urge you to look for one or begin your own. If you have not added your name to the petition do so now and if you have thank you. Thank you Luke, for your enthusiasm and support for this project! Please visit Luke’s blog to read more. 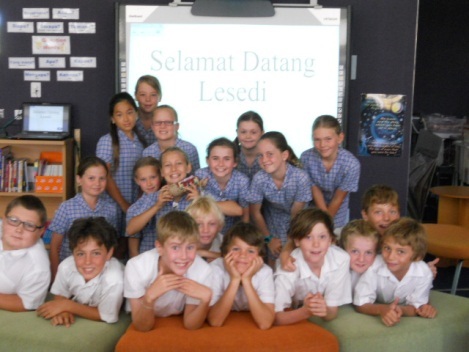 Lesedi joing the Yr 5 class for Indonesian. The Travelling Rhinos Project – A Global Classrooms Initiative by Karen Stadler (@ICT_Integrator)Last year I participated in Karen’s Crazy Crazes Global Classroom project and it was such a good experience for myself and the students that I decided to be part of this year’s project. We have hosted Lesedi, one of the Travelling Rhinos, for the last 10 days and she has proved to be very popular with the students. One of my favourite memories will be the Year 1 class hugging her after they found out that rhinos were being killed for their horns. 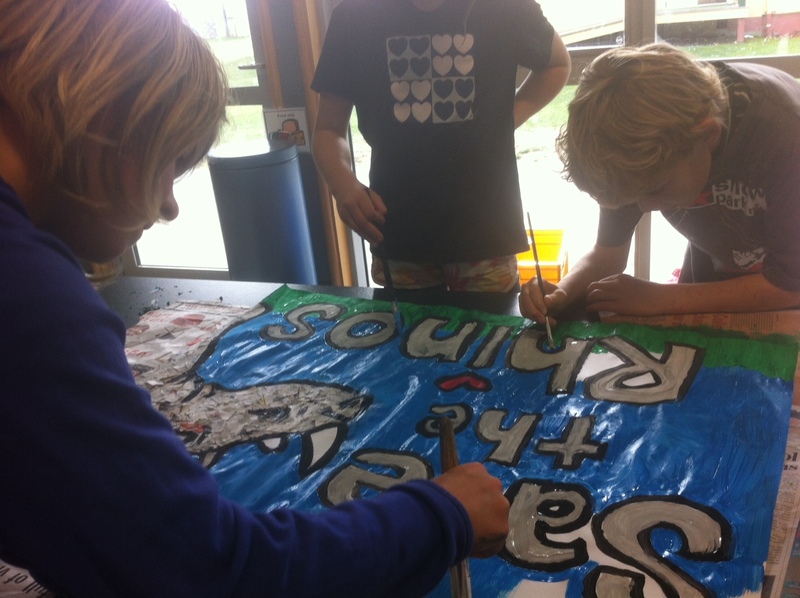 Participation in the project has meant that not only are we learning about rhinos and their plight but has brought the world a little closer to us and will enable us to focus on our own endangered species and the need for awareness campaigns. Lesedi leaves us to go to Plympton Primary School in South Australia at the end of the week but her legacy will endure as we continue to learn about animals under threat. Farewell Lesedi. We will be following your journey through Australia and New Zealand. If you wish to know more about what Karen is doing you can find her blog here. Please pop over to Kerry’s blog, DemystifICT and read more about her work. 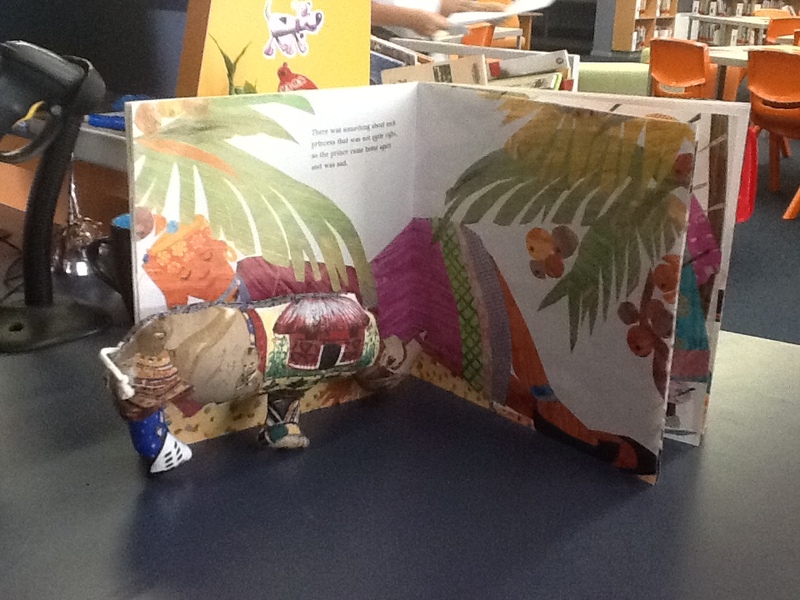 Today I woke up to a very pleasant surprise – a blog post about The Travelling Rhinos Project written by a teacher in Korea (Nick Corben) whose class will be hosting a rhino soon. I was very impressed by the post and very honoured to have my project promoted in this way. Below is the blog post as it appears on Nick’s blog (http://goo.gl/KLkdO), with his permission, of course! Actions speak louder than words. Practice what you preach. If you’re going to talk the talk, you’ve got to walk the walk! So, after thinking about it for several days I thought, ‘Why not now?’ ‘What am I waiting for?’ I decided that I didn’t want to do the same Flat Classroom project that I did last timeand through my Twitter feed came across the Global Classroom Project. After spending some time looking through this informative and intriguing website I signed up to be a ‘Mystery Skype caller.’ Essentially, I was added to a database of other teachers from around the globe who are interested in connecting their students. The Mystery Skype provides an engaging and fun way for individuals and classes to interact with each other, while developing communication, critical thinking and mapping skills. The project goals are listed here. Further down the homepage I came across several good global collaborative projects my students and I could really get involved in. One of these really stood out for me; run by mentor teacher, Karen Stadler, an ICT Integration Co-ordinator for Elkanah House’sSenior Primary campus in Cape Town, South Africa. The Travelling Rhino Project began life in July 2012 when Karen visited Kruger National Park and saw these magnificent animals up close and personal. Little did she realise these rhinos were under attack from greedy poachers who have been killing them at such a rate, they will likely be extinct by approximately 2020. The aims of the project are to educate children about these animals; to raise awareness of their situation; to unite people of the world in protecting the rhinos for future generations and a hope that action can be taken against the perpetrators. I chose this project because I loved the way that Karen has a real personal interest and passion in the rhinos and I felt very persuaded when I read the information on the wiki she had made. I felt that my students and I could try to make a difference and help the cause. The activities Karen suggested are good because they allow for individual, small group or larger team activities which could be done at school or home. Additionally, I will get my students to think about and develop their own ideas, allowing their creative juices to flow! Speaking of being creative, on 29 October 2012, Karen and her team managed to form a human rhino on their school field, comprising of 414 pupils! As there are other schools around the world taking part there will be lots of opportunities to share, collaborate, evaluate and discuss. We will be able to use my Facebook and Twitter accounts to keep up-to-date with developments, Skype for real time communication and the wiki, blogs, Google Drive and other web 2.0 tools for our own project developments. I will also use the iste NETS standards to guide and evaluate what the students are doing. The NETS set a standard of excellence and best practices in learning, teaching, and leading with technology in education. I think Karen was happy too! Having read on the Global Classroom’s wiki about Secret Skypes, I thought it would be fantastic if Karen were to contact my class on skype (without them knowing) and explain/persuade/sell the project idea to them, asking if they, as young kids in a far off country can help in the awareness campaign and make a difference. ‘The rhinos need your help’ sort of thing. I thought this would really make a good connection with my students, stimulate their minds and motivate them into action. It wouldn’t take more than 5 or 10 minutes but would be very powerful. Now that my class and I have been accepted into a global project, isn’t it about time your class did the same? If you would like to follow the project developments or be part of it yourself, here are the contact details. Thank you Nick for such an in-depth review of my project. I am looking forward to seeing what your class does when Zindzi arrives! Never in my wildest dreams did I imagine that a photograph of 5 rhinos taken in the Kruger National Park, the inspiration for my Travelling Rhinos Project, would spark off such interest and enthusiasm amongst the classes that have signed up! What started off as an ambitious idea has grown into something so much more than just a project. It has sparked conversation, debate, inquiry and creativity. The Twitter feed is constant, with daily feedback and photo sharing, and the Facebook page is a hive of activity with the number of ‘Likes’ growing at a steady pace. With 35 classes from around the globe already signed up, and more inquiries coming in, I can see this project running for more than just the year I had originally planned. I’ve become a Skype expert overnight, having had Skype calls every week for the past four weeks! I’ve had the pleasure of doing two Mystery Skype calls – one with a Grade 7 class in Bridgenorth, Ontario, Canada (they took only 9 minutes to pinpoint my location) and another with a Grade 4/5 class in Guelph, Ontario, Canada (they took 11 minutes to pinpoint my location). I have also been interviewed by the Grade 5 Denton Dynamos in New York, and just last night I had a lovely chat with Grade 5 class in Surrey, BC, Canada. 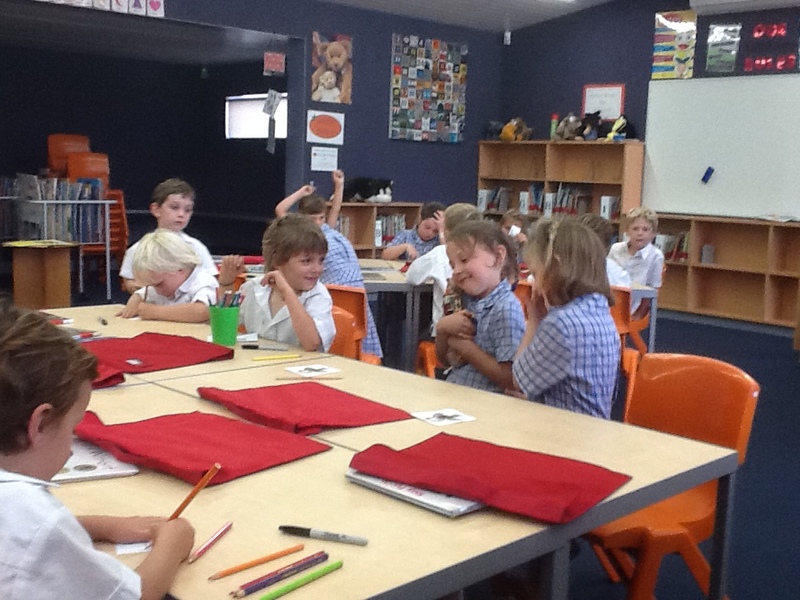 I’ve learnt that I have to have my answers ready – the children have good questions and they require informed answers! The quality of the contributions by the different classes is simply astounding. They have created art works, videos, presentations, written letters to their local newspapers, designed t-shirts and more. The reaction to this project has been nothing less than astounding! I cannot wait to see what else the other classes come up with!